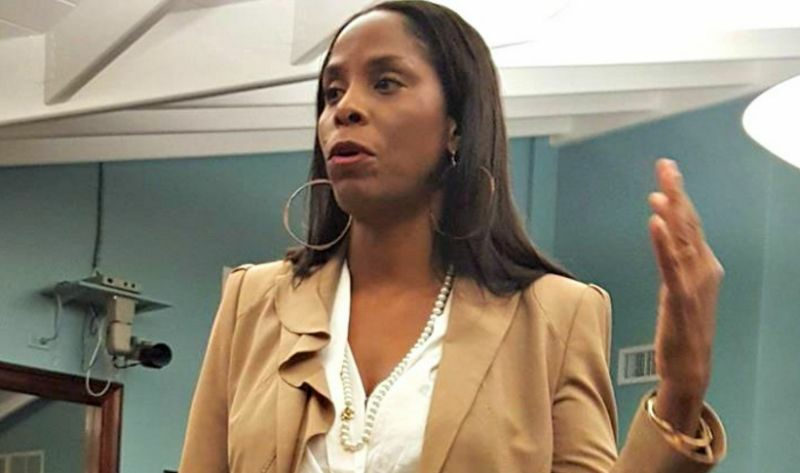 FREDERIKSTED, St Croix, USVI — The Republican Party of the [US] Virgin Islands said it filed an ethics complaint against Delegate to Congress Stacey E. Plaskett on Wednesday September 7, 2016 asking the House Committee on Ethics and the independent, non-partisan Office of Congressional Ethics, to investigate the congresswoman’s alleged use of congressional resources for her personal use. The local GOP alleges that upon returning to work Tuesday September 6, 2016 after the summer recess, Ms Plaskett used an email newsletter to attack Republican nominee for Congress Gordon Ackley. The release, issued on September 7, 2016, adds that the email newsletter was sent during office hours, raising questions over whether Ms Plaskett has the required separation between her official congressional office and her re-election campaign. The Republican Party added that it was also discovered that Ms Plaskett’s official congressional office press secretary edited her entry in Wikipedia, an online crowd-sourced encyclopedia, on at least four occasions. Ms Plaskett’s press secretary Richard Motta told The Consortium that the delegate had not received any notification from the Committee on Ethics, and cast the local GOP’s grievances as a distraction to the work the congresswoman has been doing on behalf of the people of the Virgin Islands. The local GOP also assailed Ms Plaskett for allegedly using her official congressional office on July 21 to respond to the release of what the GOP dubbed a sexually-themed photograph sent by SMS messaging in what she called a “personal” and “private” matter, adding that it was unclear if an official congressional device was used to capture or transmit the photograph. Mr Ackley is expected to face Ms Plaskett during the November General Election. The first-term congresswoman — who crushed her Democratic challenger, Ronald Russell during the August Primary — is heavily favoured to win. Why they do not leave the women alone? She will Slaughter those Republicans in November no worries,they looking for a easy win those TT's will tantalise them like the TT monster in TOLa.